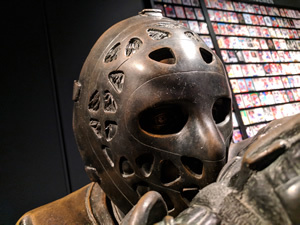 We are the Society for International Hockey Research, a community of writers, statisticians, collectors, broadcasters, academics and fans of hockey history. 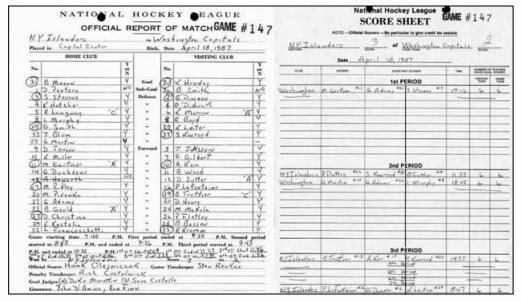 What Was Early Canadian Hockey and What Does it Owe to Others? SIHR's 28th Annual General Meeting will be held in Windsor, Ontario. 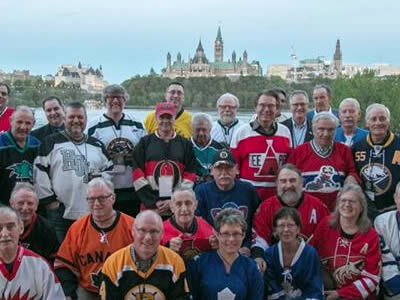 The first SIHR meeting ever held in the Rose City is being organized by SIHR member, longtime Windsor Star columnist and sports aficionado Bob Duff, with support from vice-president Bill Sproule. Save the date, because Windsor has a rich hockey history, including but not limited to the many reincarnations of the Spitfires. The official hotel for the weekend is the Best Western Plus Waterfront Hotel, 277 Riverside Drive West, Windsor, Ontario. Contact the Reservations Department at toll-free 1-877-973-STAY (7829) or (519) 973-5555 under group block SIHR by April 19 th. A rate of CAD$139 a night has been negotiated based on single or double occupancy. For triple occupancy, add $15 a night. On Friday evening (May 17 th ), the "Meet and Greet" will be held at the downtown Windsor campus of St. Clair College, 201 Riverside Drive West â€“ next to the official hotel. Wear your favorite hockey sweater/jersey, renew old friendships, and meet new hockey enthusiasts. The event will start at 7 p.m. Special guests for the evening will be the father and son referee tandem Sam and Ross Sisco. Both have refereed in several leagues and will have lots of stories to tell. Sam worked as a NHL supervisor and Ross is currently an OHL supervisor. Authors will also be available to sign (and sell) new hockey books. The SIHR meeting on Saturday (May 18th) will be at the downtown Windsor campus of St. Clair College - next to the official hotel. The business meeting will start at 8:30 am and the morning session will include several presentations and guests. A catered lunch will be provided and then the afternoon will start with a visit by several Windsor hockey alumni followed by more SIHR presentations. Perry Wilson, the Spitfires goalie coach, and Robb Serviss, Director of Hockey/Head Coach at A21 Academy, a new private school hockey program in Windsor, have been confirmed as guests. A Saturday evening dinner is being planned for attendees and guests at a The Keg Restaurant, 1 Riverside Drive West, across the street from the hotel and St. Clair College. Meeting attendees and guests will pay on their own. The dinner will start at 7 pm. On Sunday (May 19th) there are several options including sightseeing in Windsor or Detroit, a visit to the WFCU Centre, home of the Windsor Spitfires, or head to Detroit for an afternoon baseball game at Comerica Park - the Tigers host the Oakland Athletics at 1 p.m. Although tours are not available on Sunday, the Little Caesars Arena is close to Comerica Park so you can wander around the arena and have lunch in one of many restaurants in the area. Registration for the meeting is now open at our Ticket Tailor site: buytickets.at/sihrwindsor19. Registration includes the Friday Meet and Greet, as well as Saturday's business meeting, presentations and lunch. To assist in planning, we also ask you to indicate if you wish to attend Saturday's dinner. Spouses and guests are welcome at the Meet and Greet and Saturday dinner â€” please indicate how many will be joining you for each when you register. Nominations are being accepted from SIHR members in good standing to recognize recipients of two SIHR awards given annually, the Brian McFarlane, and the Paul Kitchen Awards. 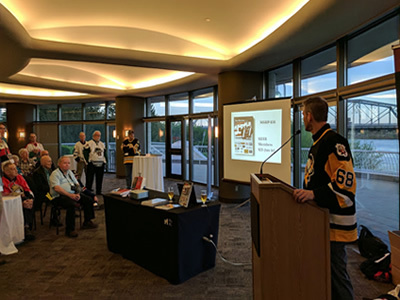 The Brian McFarlane Award recognizes SIHR members in good standing as recognition for continued outstanding research and writing in any media, including the Hockey Research Journal and/or presentations at SIHR meetings. Recipients of the Award must be members in good standing. A previous recipient of the Award will not be eligible to receive it again. The list of previous award winners is available here. The Paul Kitchen Award is awarded for best research project produced during the 2018 calendar year. The criteria for a qualifying project includes a book (printed or digital), documentary, and any other digital form of expression (website, blog, Facebook page, etc.). One need not be a member of SIHR to qualify for the Paul Kitchen Award. SIHR Directors will vote to recognize the winning nominees. Please send your nomination(s) accompanied by a brief rationale to aubrey.ferguson@sihr.ca until March 31. These Awards along with the Presidentâ€™s Award will be announced and presented at the Annual General Meeting in Windsor on May 18. Visit the Society's YouTube page to view recordings of past meeting guests and presenters such as Dave Burrows, Gilles Gratton, Red Kelly and many more. Statistical data and photographs are not to be reproduced for commercial use.